The Enraged Triceratops will rarely spawn during an Orbital Supply Drop raid. The Enraged Triceratops is one of the Enraged Creatures in ARK: Survival Evolved's Extinction expansion. 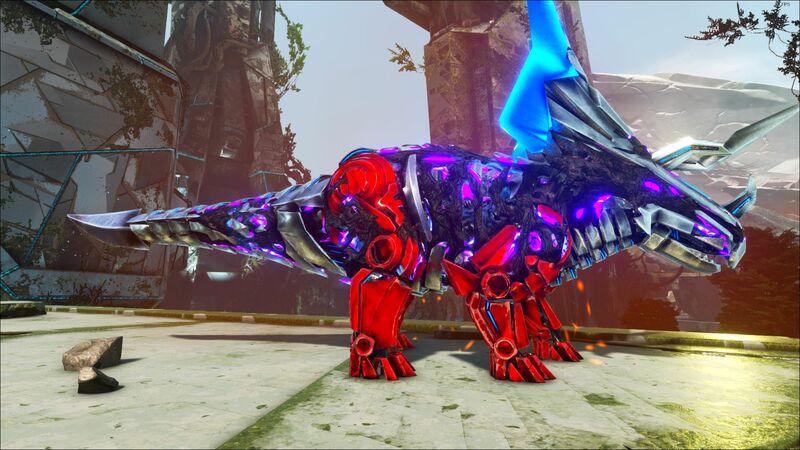 It resembles a Triceratops Bionic Costume, but infused with Corruption; it also has a distinguishable red aura much like the Alpha Predators. 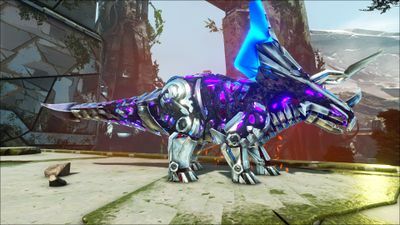 This section displays the Enraged Triceratops's natural colors and regions. 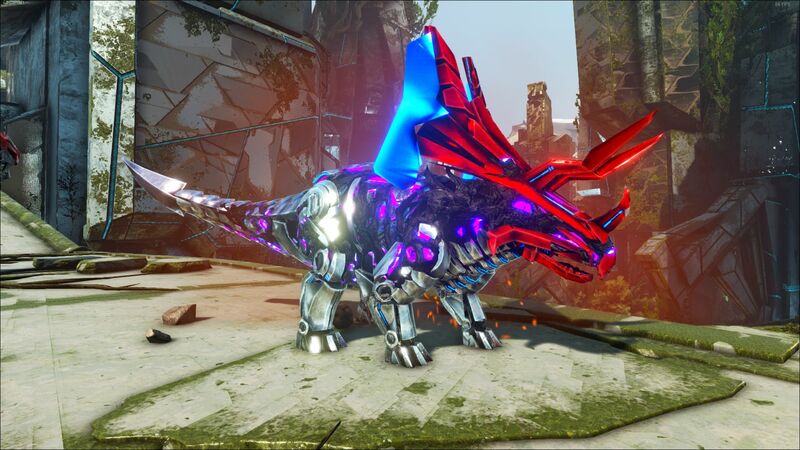 For demonstration, the regions below are colored red over an albino Enraged Triceratops. The colored squares shown underneath each region's description are the colors that the Enraged Triceratops will randomly spawn with to provide an overall range of its natural color scheme. Hover your cursor over a color to display its name and ID. 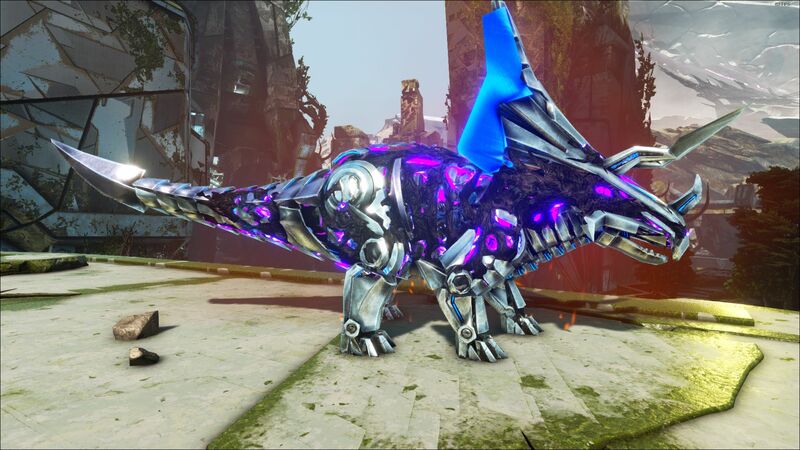 For example, "cheat SetTargetDinoColor 0 6" would color the Enraged Triceratops's "dark muted" magenta. 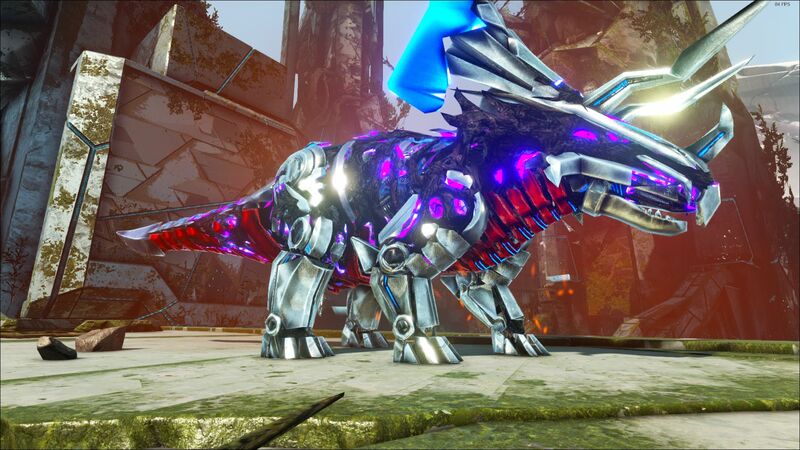 Enforcers are recommended to eliminate it quickly, while leaving the more defensive tames to defend the objective. Using high quality shotguns or Tek weapons will kill it in a matter of seconds. High level Velonasaur is very useful too. Enraged Triceratops are highly susceptible to Velonasaurs. 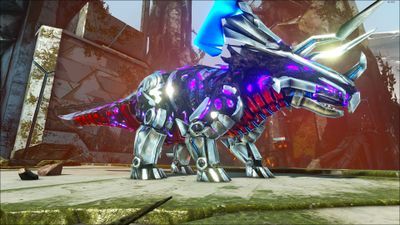 The Triceratops and Gigantopithecus are the only Herbivores with an Alpha-variant. Curiously, it does not radiate its alpha buff when forcetamed, keeping the buff only for itself. He doesn't give his buff to wild corrupted creatures. This page was last edited on 14 April 2019, at 16:29.